The match between Arsenal vs AFC Bournemouth will take place at the Emirates stadium in London. 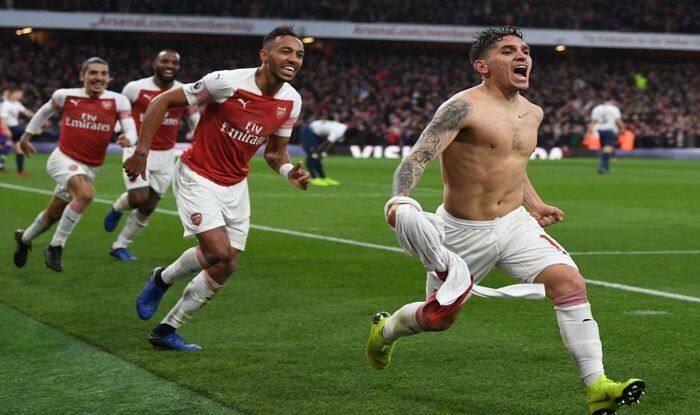 Premier League 2018-19 Arsenal vs AFC Bournemouth Live Streaming Online: With an aim to consolidate their fourth position in the ongoing English Premier league, Arsenal will host Bournemouth at the Emirates Stadium on Wednesday. The win last week against relegation-threatened Southampton saw Arsenal getting back into the top 4 of the Premier League table. Moreover, Unai Emery’s men have an impressive record at home in the league with 13 straight wins in 14 encounters. Their only home defeat came against Manchester City on the opening day of the league, way back in August. A win today could see the Gunners going 4 points ahead of Manchester United, depending on the Red Devils’ result against Crystal Palace. Bournemouth find themselves in mid table obscurity, sitting in 12th position of the table – 10 points above the relegation zone. Eddie Howe and his men have a poor record away from home in the league, with the Cherries losing 8 straight league matches, a run that dates back to October. When will the match between Arsenal vs AFC Bournemouth take place? The match will take place on 28th February at 1:30 AM IST. Where will the match take place between Arsenal vs AFC Bournemouth? Which TV channel will broadcast the match between Arsenal vs AFC Bournemouth? The Arsenal vs AFC Bournemouth match will be aired on Star Sports 3. Where will the Arsenal vs AFC Bournemouth match be available for live streaming? The match will be available for live streaming on Hotstar and Jio TV.